HCM City (VNA) – The Ho Chi Minh City Union of Friendship Organisations and the Vietnam-India Friendship Association in the city co-organised a meeting on August 14 to mark India’s 70th Independence Day (August 15). Speaking at the event, Indian Consul General in HCM City Smita Pant said that this day 70 years ago was an important historic milestone, helping India grow into Asia’s third largest economy which has had great contributions to peace, stability and development in the region and the world. In 2017, India and Vietnam are holding a lot of activities to mark the 45th anniversary of their diplomatic ties and 10 years of establishment of their strategic partnership. 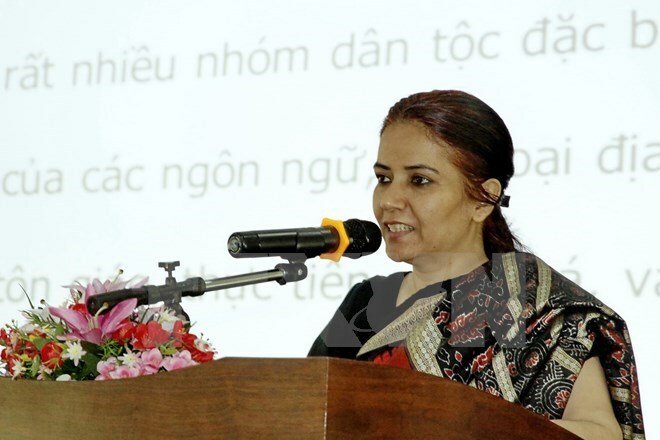 Speaking highly of activities organised by the Union of Friendship Organisations and the Vietnam-India Friendship Association in HCM City, Smita Pant affirmed that the Indian Consulate General wants to coordinate closely with the city to intensify cultural exchanges, people-to-people diplomacy, and business connectivity in order to develop the two countries’ friendship and cooperation.